​Anyone else have a child who speaks their mind?? I'm a relatively quiet person, and I enjoy great discussions with no confrontations, ever. I like to think I'm a peacekeeper, though I've learned that confrontation is a necessary part of life, which makes me want to jump out of my skin. Anyway, I have a child who has no problem with confrontation and making his voice heard… which also makes me want to jump out of my skin! When we were out with our homeschooling group, said child happened to trip and fall. I looked over and asked if he was ok, and he said he was... so I resumed my conversation with the other ladies and it happened to involve some laughter. Well, my son thought the laughter was directed at him, so with his hands on his hips the confrontation began. "Are you laughing at me??" He demanded. I reassured him we weren’t; as did the other moms. and I wanted to disappear from embarrassment at this child's boldness to confront his lovely mothers and other adults with such demand. I mulled over how I’d address this event for days, that 60 second scene etched in my mind. But I also realized that was my personal nature to respond to hide from conflict. My son on the other hand, well, his response was his God-given male nature... we just happen to handle things very, very, differently. I soon realized it would be foolish to try and teach him to handle situations the way I do. My initial reaction is by no means always correct, and I can’t expect a 6-year-olds to be. Instead of trying to teach him to respond like me, I decided to embrace that he’s formed in God’s image with a voice uniquely crafted for a divine purpose in this life. Maybe one day he’ll find himself in an Elijah situation confronting a wicked Ahab… and we’ll all be awfully glad his mom didn’t try to convince him to swallow a dose of righteous anger in the name of peace. 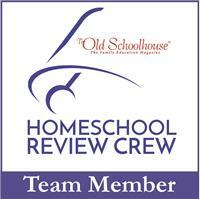 is an author, blogger, and homeschooling mom of four, giving her excellent credentials to run her own circus one day!